I’ve been craving for chocolate coated chips so I went to chocolate fire. When you go to the place at dinner time, it’s a bit dim lighted, and I think it would be ideal for dinner dates since they also serve pasta, sandwiches, and other dishes as well. 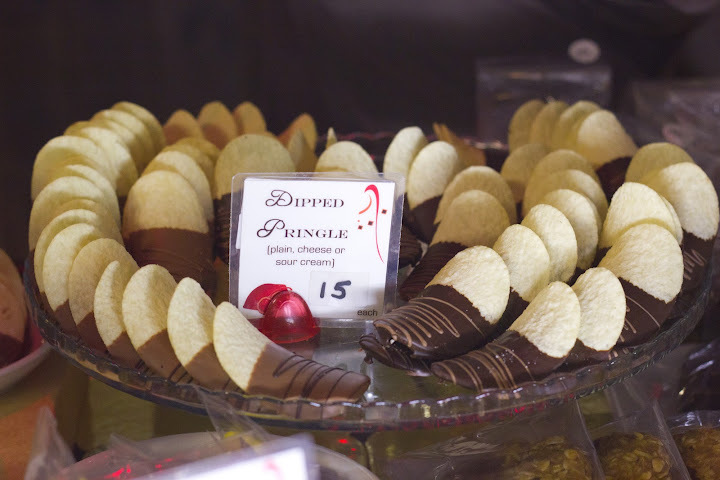 Dipped Pringles comes in 3 variants plain, cheese and sour cream. I’m a big fan of the salty-sweet combo thus the random cravings for chocolate coated chips. The chocolate coating is just right, it doesn’t really overpower the chips so it’s more of a good rapport of the flavors. Dark Chocolate Volcano is a pyramid shaped dark chocolate with spices, it’s one of those chocolate chili treats that I’d normally want to try. It’s not too spicy and that flavor really adds a good kick to your normal dark chocolate delight. Cappucino Coffe-Pot Solid is cappucino flavored milk chocolate, nothing really special about this. Dipped Coffee Bean comes in dark, white, and milk chocolate. It was really a pleasurable experience when I ate it, the flavors of the chocolate and the coffee bean really makes a splendid combination, nice textures too with the chocolate and the crunch from the coffee bean. 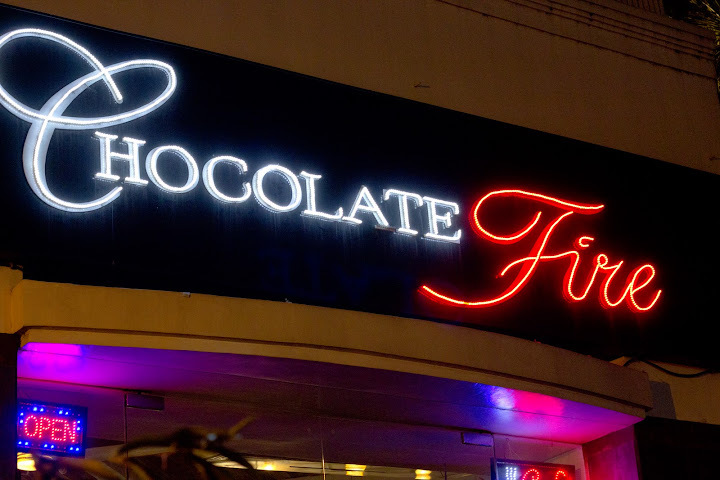 VERDICT: Chocolate fire offers an array of quality chocolate treats, add that to the nice ambiance of the place these would make a good dining experience, though it’s a bit on the pricey side. VALUE FOR MONEY: Though food items here are a bit pricey, I still consider it as a good alternative since you can buy them per piece. A box of chocolate coated chips would range from P800 – P900(Other sellers). And if you want to indulge with such treats I suggest you buy a few items here, just to satisfy that craving and it wouldn’t cost that much. Wow ang sarap naman ng mga ito, specially yung dark chocolate volcano!!! Hope to visit some of your posted resto.. Keep it up Euge, stay healthy and happy! tried their pasta, sandwiches & salad yesterday with my friends– thumbs up!! we’re going back for the desserts.